A federal judge in California blocked the Trump administration from requiring asylum seekers to return to Mexico as they await court hearings in the U.S. But the judge delayed implementing his ruling to give the government time to appeal. U.S. District Judge Richard Seeborg in San Francisco wrote in a 27-page ruling that current U.S. law does not authorize the Department of Homeland Security to enact the Migrant Protection Protocols, first announced in a December 2018 memo by outgoing Secretary of Homeland Security Kirstjen Nielsen. Seeborg also wrote that the MPP lacked sufficient safeguards for ensuring that people who want to apply for asylum are not returned "to places where they face undue risk to their lives or freedom." The ruling came in response to a lawsuit brought by the American Civil Liberties Union and other advocacy groups on behalf of 11 asylum seekers from Central America. It argued that requiring the migrants to wait in Mexico violated humanitarian protections offered under U.S. and international law. 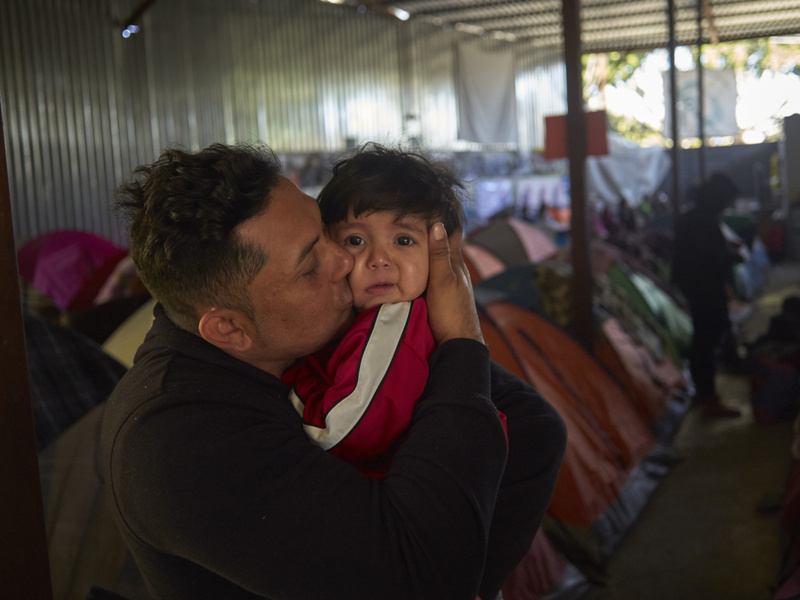 "The court strongly rejected the Trump administration's unprecedented and illegal policy of forcing asylum seekers to return to Mexico without hearing their claims," said deputy director of the ACLU's Immigrants' Rights Project, Judy Rabinovitz in a statement. "Try as it may, the Trump administration cannot simply ignore our laws in order to accomplish its goal of preventing people from seeking asylum in the United States." The ruling, even if its implementation is delayed, is a setback for the Trump administration's which says its hardline immigration policies are an appropriate response to a crisis at the border. The administration had hoped that the asylum protocols, dubbed by some officials as Remain in Mexico, would discourage migrants from seeking refuge in the U.S.
On Sunday, a day before the ruling, Nielsen resigned from her post amid reports that other top immigration officials also will be replaced. Judge Seeborg gave the government until 5 p.m. ET on Friday to appeal his ruling. The Justice Department did not respond to an email request for comment.